Your eyesight is the most important of the five main senses we have been gifted with, so much so that 80 per cent of what we perceive is visual. In fact, our eyes are the most highly developed sensory organ, with a large part of the brain being dedicated to vision, over our other senses. Despite this, we tend to take our eyesight for granted, and do not bother to get it periodically tested. One of the leading causes of irreversible loss of vision, which often goes undetected and untreated in India, is Glaucoma, which has seen an alarming rise in the number of cases over the years. According to studies, around 11.2 million Indians above the age of 60 years are likely to be affected by glaucoma, accounting for 12.8 per cent of cases of blindness in the country. Glaucoma is known to silently steal one’s vision, and yet, despite the grave threat it poses, there is a lack of awareness about the severity of the disease. Glaucoma is a group of chronic neuro degenerative diseases defined by progressive and irreversible damage to the optic nerves of the eyes. It is also commonly associated with high intra ocular pressure or pressure in the eyes, leading to deterioration in sight, and ultimately blindness. This is also caused due to a build-up of fluid in the front of the eyes, leading to pressure, which damages the nerves. Unfortunately, glaucoma usually does not haveany distinguishable symptoms, as a result of which, by the time onenotices a deterioration in their vision, it has progressed to the point where it is irreversible and additional loss leads to blindness.Although people with a family history of Glaucoma are most at risk of contracting it compared to others, people with thin corneas at the centre, patients who have suffered past injuries to the eyes, high eye pressure, diabetics, heart disease patients, those with high blood pressure, and those prone to migraines and extreme near sightedness, are also at a highrisk of being affected by Glaucoma. The prolonged use of self-prescribed eye-drops containing steroids, has also been found to cause glaucoma. For this very reason, early detection of Glaucoma is imperative to identify and minimise the progress of the disease and save one’s eyesight. Glaucoma detection tests include eye pressure checkups, optic nerve examinations, gonioscopy, visual field analysis, optical coherence, tomography and pachymetry. 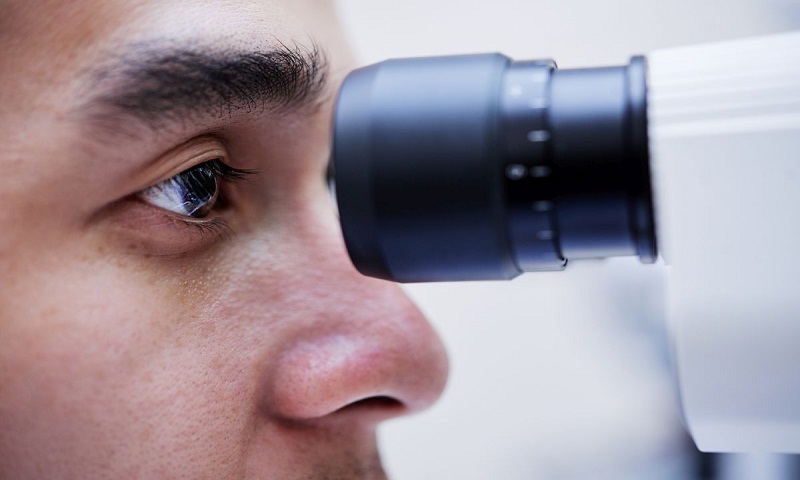 For those above the age of 40, periodic screenings are highly recommended, but for this to become consistent, much awareness is needed, as very littleis known on this silent killer of the eyesight. Paediatric glaucoma too, has become a cause for concern, with its incidence estimated to be 1 in every 10,000 births. The size of the eyeball increases in children with glaucoma, unlike adults, but despite this, the problem tends to be unnoticed by most parents, mainly due to lack of awareness, until the child complains of a constant discomfortand decrease in their vision. Once diagnosed, medication prescribed is usually a life-long course, and should be administered as regularly as advised by the eye specialist. While glaucoma cannot be prevented entirely, early detection and treatment can go a long way in minimising the risk of optic nerve damage and vision loss. Therefore, if you experience any of the symptoms mentioned, it is important to seek immediate medical help.